Mrs. Shirley Allen Cooper a long time resident of Hope departed this life on Saturday, the 28th of May, 2016. Born November 18th, 1942, Shirley was an only child to Harvey Allen and Hattie Jackson Allen. She was a homemaker and retired school teacher having taught in Hempstead and Nevada Counties. She was Hope Educator of the year in 1996. 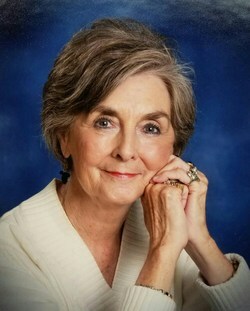 She was an active member of Unity Baptist Church, Hope where she sang in the choir, enjoyed WMA and Good Timers. Shirley was everyone's friend and was a very giving person. She was always looking for special gifts and cards to brighten friends and families lives. She was devoted to her family and worked tirelessly for the cause of Christ. Her survivors include her husband of 54 years, Edward J. Cooper of Hope, Arkansas; daughters, Lesha Renae Cooper of Hope, Arkansas and Sharyla Kaye Cooper Thompson (Stan) of Little Rock, Arkansas; son Jonathan Allen Cooper of Fayetteville, Arkansas; grandchildren, Kaley Brooke Thompson Tucker (Curt) of Little Rock, Arkansas and Brady Marshall Thompson of Little Rock, Arkansas. She was preceded in death by her father, Harvey Carl Allen and her mother, Hattie Charlene Jackson Allen. Visitation will be held Tuesday, May 31, 2016 between the hours of 6:00 - 8:00 pm at Herndon-Pharr Funeral Home, Hope, Arkansas. Services will be held Wednesday, June 1, 2016 at 2:00 pm in Unity Baptist Church, Hope with Bro. Glen Tropp, Bro. Frank Henson and Bro. Kevin Smead officiating. Interment will follow in Oak Grove Cemetery, Shover Springs, Arkansas under the direction of Herndon-Pharr Funeral Home.